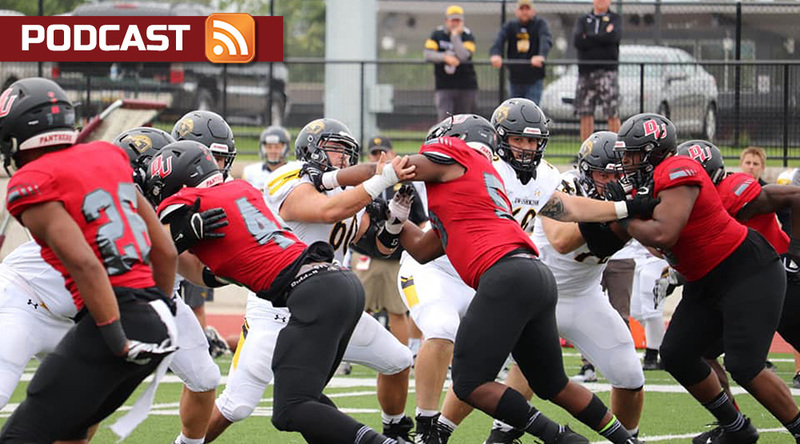 It was a struggle for UW-Oshkosh to get anything going on offense on Saturday, and in light of that, it’s a struggle for Top 25 voters. What do you do with a team which lost to a Division II opponent, but a D-II opponent which is only in its third year of football? We also hear from the interim head coach of Mary Hardin-Baylor, and the Cru’s leading rusher from Saturday, a game in which nobody for UMHB struggled in a 91-7 win. Plus Pat and Keith hand out game balls, pick their off-the-beaten-path highlight, the risers and fallers in the Top 25 and much more. This entry was posted in Around the Nation, General and tagged Adrian, Albright, Alma, Bethany, Brockport, Capital, Franklin & Marshall, Geneva, Grove City, Guilford, Hardin-Simmons, Illinois Wesleyan, Ithaca, Linfield, Lycoming, Marietta, Mary Hardin-Baylor, St. Vincent, Trinity (Texas), Utica, UW-La Crosse, UW-Oshkosh, Widener. Bookmark the permalink. Appreciate your comments on Trinity. If you remember your interview with Joe Austin, Trinity and Southwestern are recruiting similar student-athletes. Austin is having success in Georgetown and it looks like Urban is on the right track in San Antonio, and the move to the SAA is helping them recruit those kinds of kids (IMO). I think it’s good for Division III to have multiple good teams in Texas. Let’s always have three teams in Texas who are playoff-quality so the NCAA has to pay some money for the first round of the playoffs!